I know that this title seems all over the place. It’s just that today is August 8, 2017. Two days ago, it was the 72nd anniversary of the United States’ atomic bombing of Hiroshima. Tomorrow will be the 72nd anniversary of our atomic bombing of Nagasaki. These, as we know, were the first and last nuclear attacks in wartime history. We’re familiar with the official justification for the attacks: Japan had to be stopped before more lives were lost, American, Japanese, and otherwise. The bombs were dropped, Japan surrendered, and WWII ended. While debate continues as to the ethics of the atomic bombings, there’s another, less-familiar controversy regarding a possible “hidden agenda” behind the decision to launch the nuclear attacks on Japan. Some historians believe that the bombs were actually dropped in order to intimidate the Soviet Union (thus beginning the Cold War), and that Japan didn’t surrender because of the bombs, themselves; rather, they surrendered because of the post-August 6 Soviet invasion. Reflecting on atomic bombs and the Soviets and the Cold War, then, I found it funny that the espionage action film Atomic Blonde, whose plot centers on Soviets and the Cold War (the film’s title quite possibly a nod to the atomic bomb “hidden agenda” theory), dropped in U.S. theaters the weekend before the atomic bomb anniversary weekend. 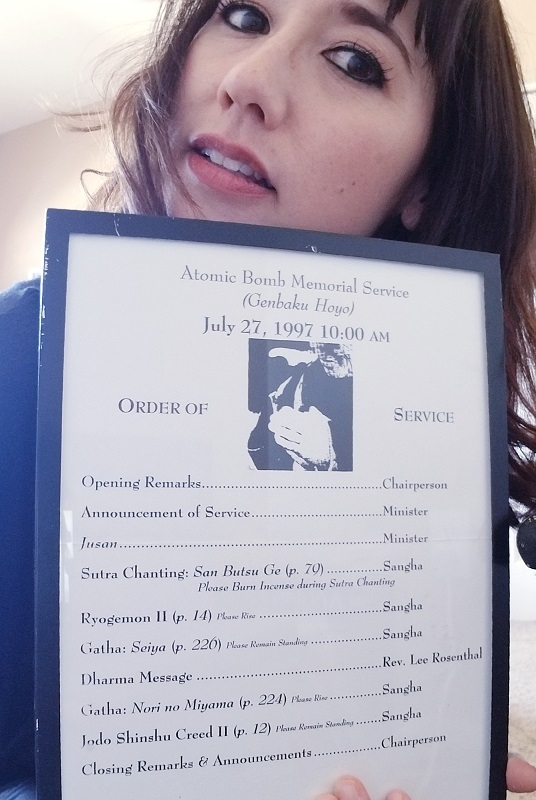 Even more interesting to me, personally, Atomic Blonde’s release date landed pretty much on the anniversary of the Atomic Bomb memorial service I’d attended at my hometown Buddhist temple 20 years ago. The film’s release date was July 28, 2017, and the memorial service date was July 27, 1997. Yet another happenstance: I went to see Atomic Blonde the weekend following its release weekend. By sheer coincidence, I saw Atomic Blonde on Sunday, August 6… the 72nd anniversary of the first atomic bomb attack. Then there’s the fact that nuclear weapons dominate our global concerns these days. We’re looking at atomic bomb anniversaries, atomic bombs in the news, and Atomic Blonde in the theaters. All of this has had me thinking of Sadako Sasaki and her 1,000 paper cranes. Sadako was two years old when the first atomic bomb hit Hiroshima, where she lived. 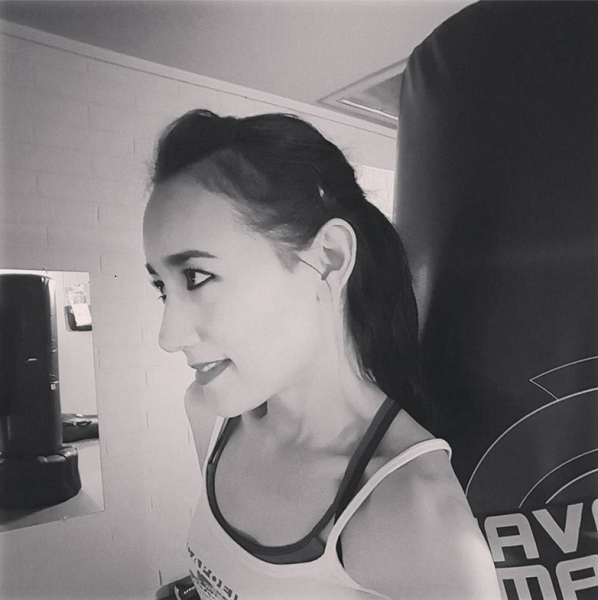 10 years later, she developed leukemia as a result of radiation from the bomb. She started folding paper cranes with an aim to create 1,000 of them, wishing for recovery and for peace in the world. In Japan, it’s said that folding 1,000 paper cranes can make your wish come true. Sadako remained in the hospital for 14 months, then passed away at the age of 12. One account of her story says that she surpassed her goal of folding 1,000 paper cranes. Another account says that she did not, but her friends and family completed the project for her. Regardless, no superstition was going to undo the devastation of the atomic bomb. Since Sadako’s death, the paper crane has become a universal symbol of world peace as well as a symbol of good luck and longevity. After I found the program, I put it in this old frame. It sits near my butsudan, where I can see it every day as a reminder and a visual point of meditation on peace in the world. By the way – to end this on a lighter note – I really enjoyed Atomic Blonde.